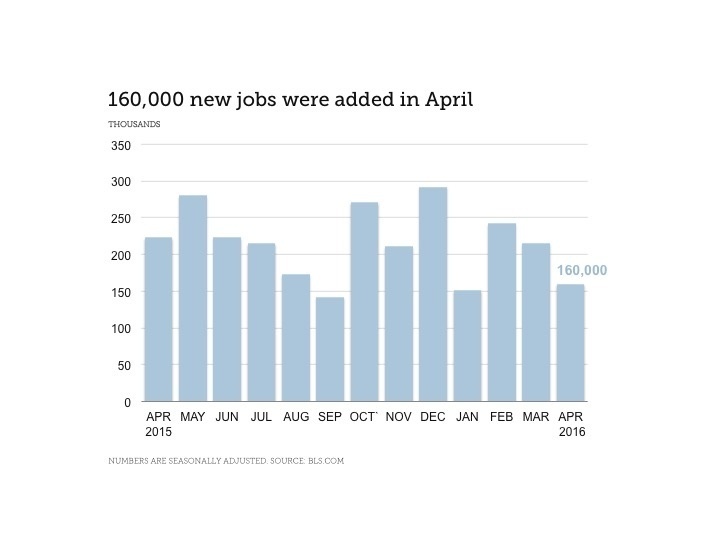 An employment summary based on the U.S. Bureau of Labor Statistics’ (BLS) April 2016 monthly jobs report. Right now the unemployment rate for financial services sits at 2.7%. This is a substantial drop from the month prior (-0.3) and the legal services industry is at 2.6%, up slightly from last month. Both rates are well below the national average and while that’s great news for legal and accounting and finance job seekers, for employers it means hiring top talent is going to be tougher than ever. To get ahead of your competitors and add exceptional professionals to your workforce, make sure you are offering a competitive salary. Request a free copy of our 2016 Salary Guide – a comprehensive resource for salaries across the industry – to get the latest salary insights that will help you hire the industries top professionals.